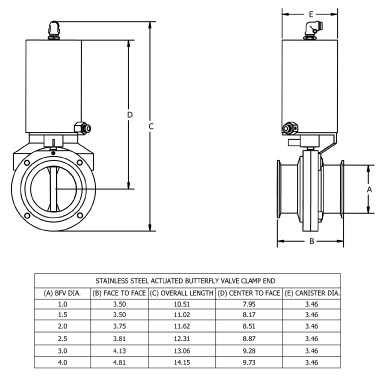 TOP-FLO® Canister Actuators For Butterfly Valves – Top Line Process Equipment Co.
TOP-FLO® Stainless Steel Canister Actuator for our butterfly valves are constructed of a 304SS shell with o-ring sealed, pre-lubricated internals for a long service life. 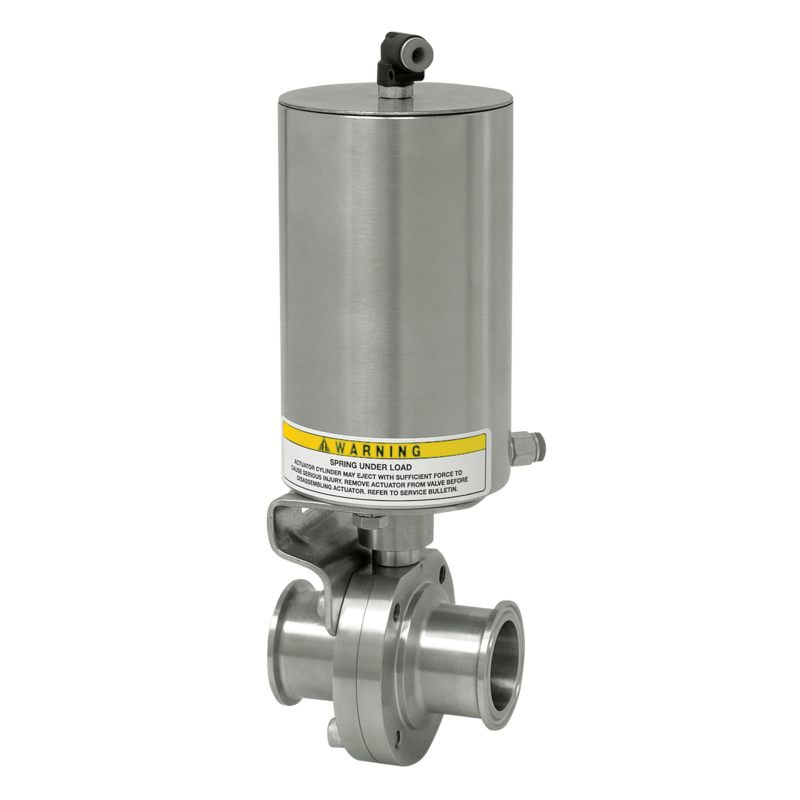 Available for valves sizes 1″ – 4″. Stainless steel brackets and fasteners to withstand external washdown environments. Dual stacked coil springs that render reliable output torques to ensure valve closure. Visual indication is located on the coupler for easy valve position confirmation. 1/8” FNPT x 1/4″ OD air connections for poly tube.